At This Is Nuts, we're passionate about eating good food and having an active, healthy lifestyle. As our corporate vision states, we’re on a mission to make natural, high end snacks available to everybody. But we don't just love nuts, we're also devoted to giving back to our community. 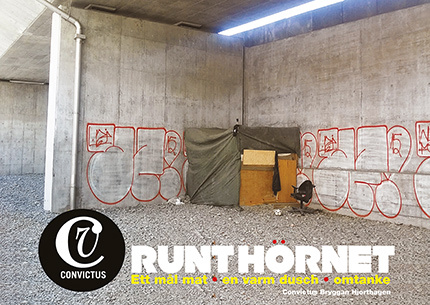 That's why we've partnered with Convictus, a non-profit, non-partisan organization that has helped addicts and homeless people in the Stockholm area since the 1990s. Whenever we have products in our warehouse that are nearing their use by date, we donate them to the homeless served by Convictus. 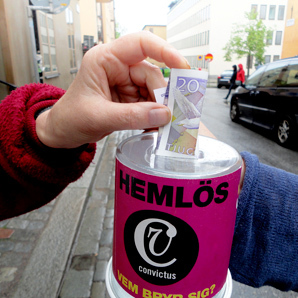 In addition, for every product that we sell in our web shop, we donate 2 kr to Convictus. That means YOU can help us give back every time you choose to purchase our nuts, seeds, dried fruit and healthy pantry essentials. This Is Nuts has its headquarters in Stockholm, so choosing an organization that operates in our community came natural to us. Convictus has a solid track record of service to the community and is run by a diverse team of volunteers and employees, some of whom are themselves homeless. The organization serves 250 people every day, as well as operates two night shelters with a total of 52 beds available. Of these, 20 are reserved for women. Convictus was originally started as a support organization for HIV-positive intravenous drug users, but today the focus is broader and includes homelessness, addiction and health. By actively reaching out and offering health services such as testing, counseling and vaccinations to this vulnerable population, the organization helps prevent the spreading of both HIV and Hepatitis C. Convictus also runs a health center in Stockholm, where members can come and work out, get a massage or do yoga, thanks to the organization's many professional volunteers. The organization even has a summer home by Lake Hjälmaren, where countless people battling addiction have taken their first steps toward sobriety. We believe in the mission of Convictus and couldn't be more excited to support this fantastic organization. To find out more, check out Convictus' website, or use account number 90 05 56-2 to make a contribution directly to Convictus. Mark your contribution "Nut Help," so they'll know that we sent you their way. Then head on over to our web shop and get yourself some yummy nuts, knowing that you're helping us give back in the process. On behalf of Convictus and all the people they serve, we thank you!